Perhaps you have been wondering to yourself: “How do you make money on Google?” If so, wonder no more! 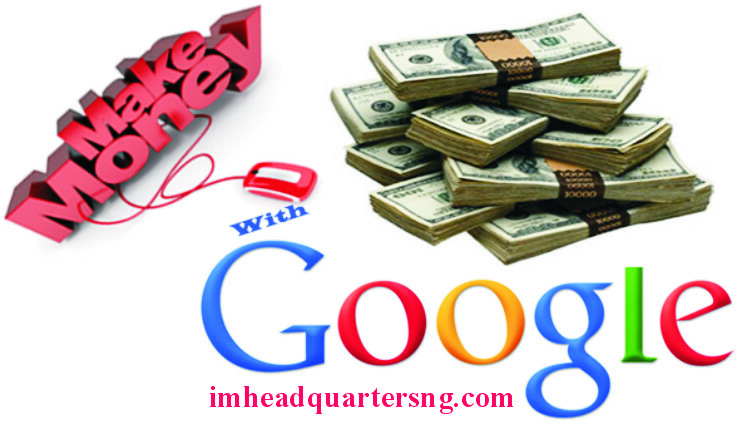 This post will address how to earn money from google at home. What is the history of Google? How many companies does Google have? What are the companies that Google owns? Who owns the Google company? What is the net worth of Google? Why should you think of working for Google? Can you really make money from Google? How can you make money on Google from home? On the other hand, if it is how to earn money with facebook that you are looking for, please click this page to go to another post which appropriately answers that question. The search engine giant known as Google certainly does not need any introduction. However, you may not know that Google is owned by an American company known as Alphabet Inc. As a matter of fact, Google is Alphabet’s leading subsidiary company. But, it has also become the umbrella company for Alphabet’s Internet interests too. It is no secret that Google is the number one most visited website in the world – a position the search engine has held uncontested for over a decade now. According to the Alexa global traffic rank report of 22nd January, 2018 Google is Closely followed in second position by YouTube – also owned by Google. Facebook and Yahoo are in third and sixth positions respectively, . But, that is not why you should think of working for Google. After all, what does it matter to you who comes first in terms of website visits by internet surfers? Nothing of course. Nevertheless, let me assure you that you will soon discover a greater reason why you should seriously consider working for the multinational corporation known as Google. Having ascertained the ownership of Google, when was it established? The establishment of Google dates back to 4th September, 1998 when Larry Page and Sergey Brin incorporated it as a privately held company – while they were still Ph.D. students at Stanford University, in California, USA. That was how their dream of establishing a great multinational company the world will ever know started. Two decades later, that dream has indeed been realised with Google maintaining the position of the number one most visited website on the planet. And the smart duo have become better for it as they are no doubt laughing all the way to the bank right now. Presently, their combined shareholding is about 14 percent and they equally control 56 percent of the stockholder voting power through supervoting stock. The headquarters of Google is located at 1600 Amphitheatre Parkway in Mountain View, Santa Clara County, California, United States, near San Jose. Prior to moving there, Google operated from its office complex in Mayfield Mall for many years until it relocated to the corporate headquarters, fondly nicknamed Googleplex. The office complex also provides abode for its parent company, Alphabet Inc. The relocation was succeeded by a complete reorganisation of Google’s operations in August 2015. Following the restructuring, Sundai Pichai replaced Larry Page as CEO of the organisation. On the other hand, Sergey Brin became the president of Alphabet Inc., while Larry Page subsequently became CEO of Alphabet Inc. There is no doubt that the operations of Google has grown tremendously in size and scope within just twenty years of its existence. As a matter of fact, Google is currently believed to have acquired over 170 companies since its incorporation in 1998. Consequently, the services offered by Google to the internet community has broadened in scope and size to include internet-related services and products. Some of these services comprise search (Google Search), email (Gmail), online advertising (Google AdWords for advertisers and AdSense for content publishers), as well as hardware and software for small business. Additionally, there are also Google tools for workplace and office management (Google Docs, Sheets and Slides), scheduling and time management (Google Calendar), cloud storage (Google Drive), social networking (Google+), instant messaging and video chat (Google Allo/Duo), language translation (Google Translate), mapping and turn-by-turn navigation (Google Maps/Waze), video sharing (YouTube), notetaking (Google Keep), and photo organizing and editing (Google Photos). In the same vein, Google is the leading development company of the Android mobile operating system. Google also owns the Google Chrome web browser, and Chrome OS, a lightweight operating system based on the Chrome browser. In addition, Google has also ventured into hardware, partnering with major electronics manufacturers in the production of its Nexus devices from 2010 till date. Experimenting with becoming an Internet carrier, the company announced Google Fiber in February 2010. This is a fiber-optic infrastructure that was installed in Kansas City. Combining Wi-Fi and cellular networks from different providers, Google went on to launch Project Fi in the United States in April 2015. And in 2016, it announced the Google Station initiative to make public Wi-Fi around the world, with initial deployment in India. I believe this answers the question: What are the companies that Google owns? But, what about the workforce of Google? How many employees does Google currently have? Well, according to one source, the number of employees who work for Google has grown to 57,100 by the second quarter of 2015. And if you decide to work for Google, you will become one of those statistics too. By the way, majority of those employees are scattered across the globe and not all domiciled at Googleplex. Is it any wonder then that Google has maintained the first position as the most used and visited website in the world? Is it any wonder too that several of its subsidiary businesses and websites occupy the first 100 position in the global Alexa traffic rank? Of course not. How much is the net worth of Google? 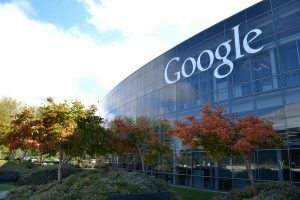 To give you an insight into the net worth of the organisation, in 2016, Google’s parent company Alphabet reported a profit of US$46 Billion on revenues of US$75 Billion. Converted to Nigerian naira at N300 to the dollar, that is a whopping profit of N13.8 trillion IN JUST ONE YEAR! That is a huge chunk of money indeed! And, mind you, that is the amount of money that was left after all expenses – including payment of salaries to the 57,100 employees – had been taken care of. It is no wonder that the Google company has been regarded as one of the best places to work on planet earth by many school of thought. The duo of Larry Page and Sergey Brin are certainly laughing all the way to the bank indeed! Wouldn’t you love to work for Google too? Would you not love to make money online with Google? 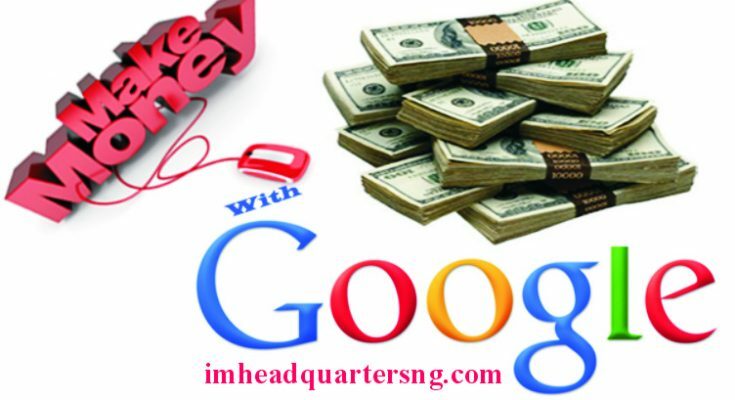 Wouldn’t you love to discover the various ways to earn money online on Google working from home? I am certain you do! But, can you really make money on Google? If yes is the answer, how can you make money with Google from home? The truth is that you can make money online with Google. Indeed, there are various opportunities available for blog owners and other individuals to make money on Google from home. Hence, internet marketers and freelancers across the globe can take advantage of the money making opportunities available through Google as a crucial source of income on the internet. Some of the ways that bloggers and freelance marketers can make money online on Google from home are discussed below. Bloggers across the globe can make money online through Google AdSense as content publishers. However, registering for the Google AdSense program is not automatic. First you will need to start your blog and publish a great deal of posts – perhaps a minimum of 20 to 30 posts – before you can apply and be considered for the program. Note: You will need to enable your channel for monetization through Google AdSense in order to begin to make money online. How do you know when is the right time to apply for the Google AdSense program? Like I said earlier, you can apply for the program after you have published up to 30 posts on your blog. Additionally, you may also want to give your blog time to mature a little bit before applying for the program. A period of six months would be just about right before applying for the program. By that time you should have started receiving unique visitors on your blog. However, you also want to ensure that you have great content on your blog too before applying for the program. In the same vein, there is nothing that annoys the search engines and human visitors more than poor navigation and several broken links on your blog. So, you want to ensure that you tidy up all broken links on your blog before applying. 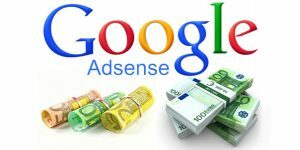 If you already operate a blog and would love to apply for the Google AdSense program, please click the following link for the step by step guide on how to get started without delay: How to Make Money from Google AdSense – How It Works. Another great way that you can make money online with Google is through Google News. For your information, Google News receives a huge traffic of more than 350 million visitors from around the globe every single month. Just imagine what that amount of visitors can do for your blog or website! If you have just Google AdSense on your blog and you can get just a fraction of that traffic (perhaps 100,000 unique visitors) monthly, you will be on easy streets for life! To illustrate how much money you can make from Google News, during the presidential debates and elections of the United States of America in 2016, smart bloggers who followed and featured the news prominently on their blogs made thousands of dollars from the great event. Honestly, many news publishers have become millionaires only by using Google News. An example that readily comes to mind in this respect is that of Linda Ikeji who currently makes over N50 million from her blog every single month. Check out her story here. Hence, you should seriously think of submitting your site or blog to Google News as quickly as possible to avail yourself of the opportunity too. By getting your site or blog listed in Google News, you can make a lot of money from the visitors through your Google AdSense channels, affiliate marketing products and services, and even from the sale of your own products and services too. Aside from making money from your blog, you can also make money on Google from home as a freelance marketer. One of the easy ways that you can make money with Google as a freelancer is by becoming their <b>search engine evaluator</b>. Now, what does the work of a search engine evaluator entail? A search engine evaluator is responsible for refining the result of the search engines in their Search Engine Results Page (SERP) – in this case which happen to be Google. Why does the search engine results need refining? Well, Google adopts what is known as algorithms in the evaluation of the results displayed to end users. However, this results is often prone to errors. That is where the search engine evaluators come in. Search engine evaluators collect the results of search engines and evaluate them for errors and fix them, where they exist. The refined results is what is subsequently made available to the internet surfers. The effect of the work of the search engine evaluators is that it improves the quality of search engine results and make it more relevant to the users. This invariably strengthens the integrity and confidence that users have in the system. So, would you love to get paid to fix Google’s mistakes? I am sure you would! But, how much does the management of Google pay for the job of a search engine evaluator? Well, a search engine evaluator is usually engaged on contractual terms. Hence, the wages he or she is paid ranges between US$ 12-15 (which is about N4,000) per day in Nigeria. Multiplied by 30 days, it automatically translates to N120,000 per month. Now that is good money indeed which any unemployed graduate in Nigeria would readily welcome with open arms any day. After all, that money is far higher than the salary of a level 14 officer in some state civil service in Nigeria. And when you consider the fact that you work from home and you hardly spend anything to get to your workplace, it is good cash indeed. 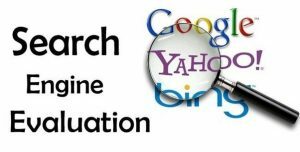 If you would love to become a search engine evaluator, please check out the following web page for the step by step guide: How to Become a Google Search Engine Evaluator. If you have the technical expertise and know how, or willing to learn, you can develop a mobile application and publish it on Google Play. Frankly speaking, the Google App Engine is a mobile app developer’s dream come true. The platform makes it possible for you to build flexible and adaptable mobile apps with ease. Some of the App engine’s built-in services include the NoSQL, Memcache and a user authentication API. A major benefit is that the App engine does not require you to acquire or maintain expensive servers – hence saving money and time too. Another benefit is that you do not incur any extra cost other than for the resources employed to publish your application on the platform. Indeed, using the Google App Engine mobile application developer is a great way to earn money online with minimum investment. But, take note that your earnings is based entirely on the number of installs and active users that you are able to sign up within a particular period. According to one online source, app developers may earn up to US$ 2 (which is about N600) for every one thousand active users of an application in a day. 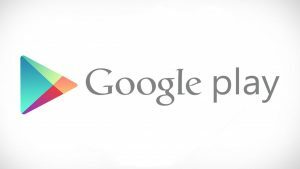 This invariably means that the more people that uses your application on Google Play, the more money goes into your bank account. Hence, it is not enough to build an application and publish it on Google Play. You also need to advertise and market it on the internet too. If you would love to work and make money on Google from home as a freelancer building mobile apps, you can register for Google’s free online training course for mobile app developers. The course will teach you how to build a mobile app for the Android platform without any knowledge of programming or having to master complex html codes and high level computer languages. Make More Money from Home! So far we have discussed how to make money online with Google. We looked at some great ways to make money online on Google from home as a blogger and freelancer. However, there are hundreds of other easy ways to make money online in Nigeria without any investment or paying anything to start. 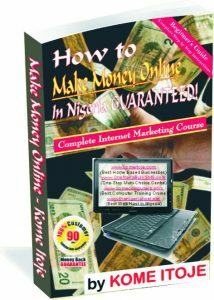 Please refer to the 2018 newly-updated wonderful e-book by Kome Itoje titled “How to Make Money Online in Nigeria GUARANTEED!” for the latest online money making opportunities in Nigeria. 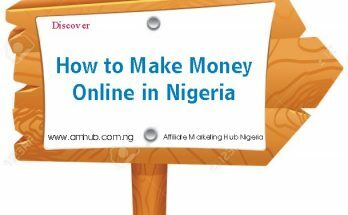 You will discover even more easy ways to make money online in Nigeria fast working from your home. 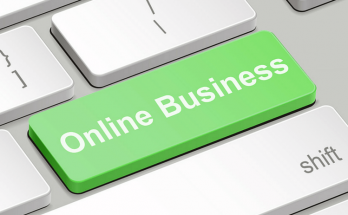 Click HERE to Download “How to Make Money Online in Nigeria GUARANTEED!” Now!